Always wanted a Timeline of your activities on this board? Well look below, this is my Timeline showing my activiies on this board. All members who can see your profile are able to look at your Timeline. You can add or delete your own Timeline events and the system generates events also for you. It will show when you have birthday, started a topic or reached a post amount and much more. 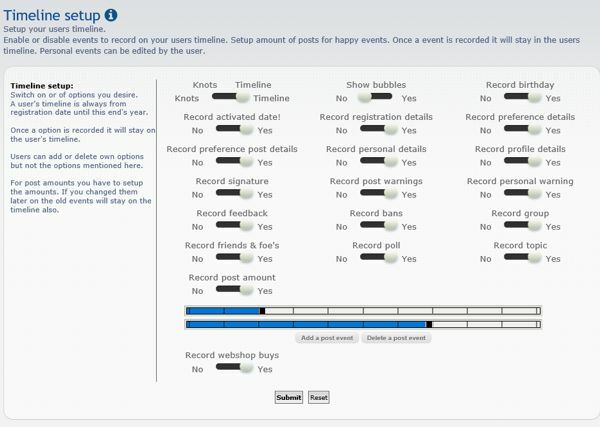 The Admin can setup how your Timeline should look and you can add events yourself. Click on a event to find more information.